As healthcare embraces technology to improve patient outcomes, streamline operations, and lower costs, the technologies with the most impact are the ones that Make Things Simpler. The electronic medical record removes the friction of paper records – finding, handling, storing, and securing them – all the things that can get between the critical information on the page and the physician who needs it. A smartphone removes the friction of needing to be near a desktop to read and send email, get contact information, and securely access practice and hospital documents and patient data. This technology provides value by simplifying a process to its core so that time, effort and resources are not wasted on mishaps, transportation, and basic human inertia. Now, think about your practice’s web content: the basic information and elevator pitch about your services that you want to communicate to existing and future patients. Your content is the reason you have a website in the first place and you should always be looking for ways to get eyeballs in front of it. Email lists, Facebook and Twitter, direct mail and practice brochures are all designed to connect people with your content to drive business to your practice. If someone sees a link to your content while they’re at their computer, then the only friction you’ll encounter is getting them to click to go to your page. But what about all the mobile time your potential customers spend? The time or inclination to check out the website immediately- and if they did, they would encounter more friction typing the address into their mobile. So how can you overcome this friction, and get the benefits of the simplicity of a link in a “real world” marketing situation? One way is with Quick Response (QR) codes. A QR code is a two-dimensional barcode that can be quickly and easily read by a fairly simple piece of software to communicate a piece of information: text, or a phone number or other contact information, or a web address to direct a phone’s web browser. Most of the QR Codes themselves are a small jumble of black and white pixelated dots that sort of resemble a “digital bacteria” or some sort of computer life form. 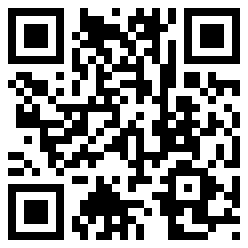 But in many ways, Quick Response (or QR) codes are like hyperlinks that exist in our physical lives. By installing a small program on your phone, and then taking a picture of the code with your phone, you can immediately access the information embedded within. See a newspaper ad about a sale at one of your favorite stores, and scan the QR code to get a link to a coupon for an additional discount, or to register to be told about other upcoming sales. See a TV commercial about a new restaurant, where scanning the code on TV leads your phone to a website to make reservations for dinner, or receive a special two-for-one deal. See a poster at a health fair booth and scan the QR code to get an instant calculator app that gives you easy exercise options for someone your age with your level of physical fitness. Flyers about annual checkup services: (blood pressure, weight management, mammograms) that your patients see as they leave (often when most motivated to seek additional services) can include links to more information (general info sites, government warnings, approved resource sites, treatment communities) or redirect to content on your site or blog. Advertisements for surgical procedures and contain codes to access before and after pictures and patient testimonials, or to a landing page to submit requests for more information. By streamlining the process of fulfilling a patient’s request to “tell me more”, QR Codes give practices an easy (and did I mention free) way to build relationships, influence patient health choices and outcomes, direct patients to the content you choose for them, and even send the message that your practice is on the leading edge of technology. 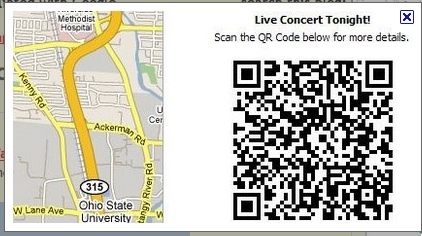 Decide how QR Codes fit into your overall marketing and education effort. Which real-world situations do you want to link to web content? Think carefully about where you place the codes themselves. You want people to have access to the info, without making the code itself the center of the message. The code is the link to more, not the point of the marketing effort. And make sure people can see and frame the code easily enough that they don’t struggle to scan it. Don’t add friction now! Make sure the payoff at the other end of the code is worth the effort. Give them some real value for their scan. It could be a discount, it could be exclusive, valuable, it could be a frictionless way to make an appointment with you (win-win! ), but don’t have people scan if the effort won’t be rewarded with real value.